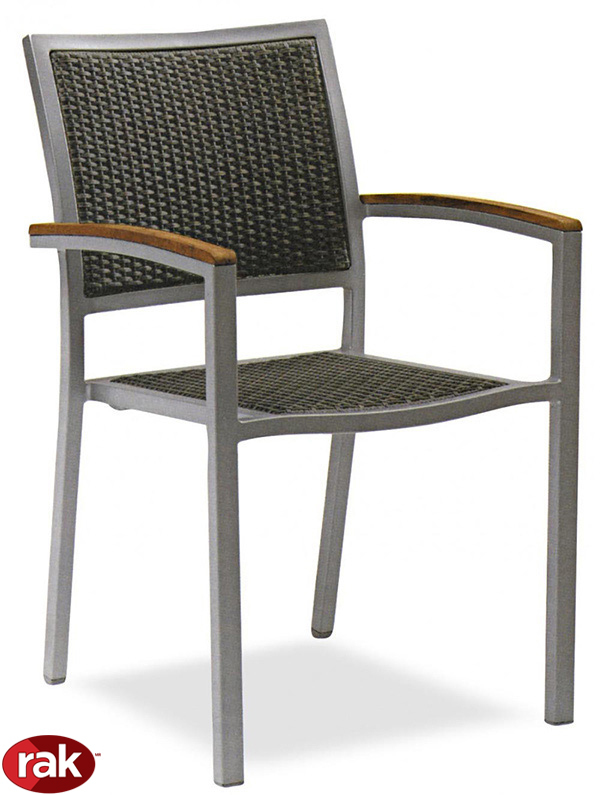 With symmetrical contours and robust personality, the Java PVC armchair is spacious and comfortable. Three key elements identify it: its solid aluminum structure, the arms with detail in teak wood and the seat and backrest woven in PVC. 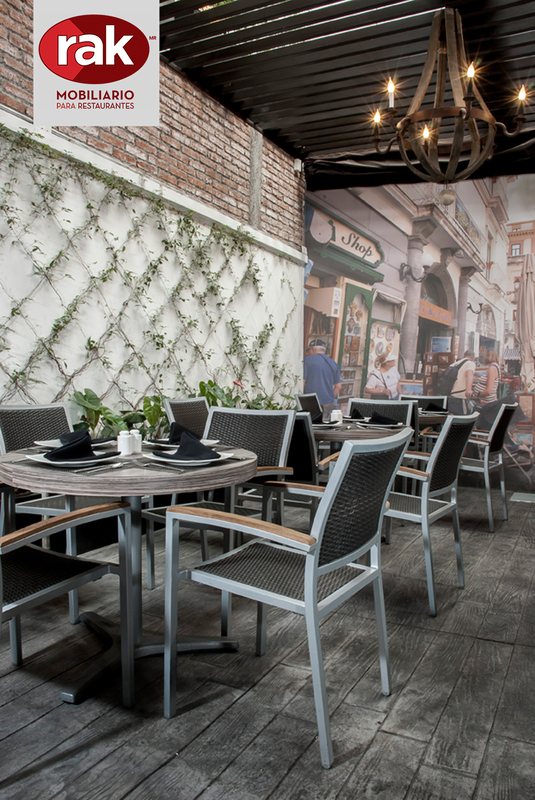 Stackable and practical, it is a leading option for terraces of any gastronomic business.